Replacement poly-coated fiberglass filters for the mid size Series are for interior use only. *The price listed below is for 2 filters. 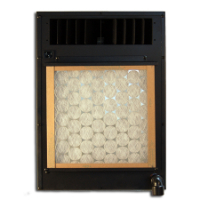 The delivery of the filters is included when ordering the cooling unit. Ordered on it's own, a $40US/60CAN delivery charge will apply. Delivery charge is not applicable when filters are ordered with cooling unit.